At EVRYTHNG we’ve been giving a unique URL and API to Billions of physical products (aka. THNGs) since 2011. Hence, when Google announced the Physical Web project in 2014 we were excited and amongst the first IoT platforms to integrate with the project. The basic idea of the Physical Web is to tag the real world. It is implemented with devices called beacons that broadcast small identifiers such as short URLs to everyone listening as defined by a standard protocol called Eddystone. These beacons use the Bluetooth Low Energy (aka BLE, part of the Bluetooth 4.0 standard) protocol which means that they can operate for quite a while even if running on battery power (right now about a year). Typical listeners of the broadcasted messages are mobile phones and there are two many ways for users to interact with beacons. First, passively: when a beacon is detected nearby mobile phones will show a message, notifying the user of something interesting offered by the nearby real world! These messages usually appear in the notification bar of the mobile OS, just like when you get a text message or a new mail. If the user click on the message then the corresponding Web page is loaded. Second, actively: an app can actively search for beacons nearby. For example you might use a search app such as Google Search to find a service nearby, the search app can search for beacons to give you hyper local results together with the traditional indexed results. The Physical Web has many applications, offering you to order coffee online when standing in a queue at a coffee shop, to announcing special offers in stores, to searching for a special service or telling you about the next buses coming at the bus stop where you stand. Beacons are still relatively expensive (5-10$) so it is unlikely to find them on every single instance of a product in the near future, however they are perfect to represent a product class or a series of products and can be attached to places, in-store displays, etc. As said before, the project has been around for 2 years already but back from Google I/O, the Physical Web seem to be one step closer to reality thanks to its increasing support on Android (through the Google Play Store and Google Search) but also on iOS (through Chrome for iOS and other apps) and hence is likely to hit prime time in a near future! This is why we are really excited to announce full Physical Web and Eddystone support in the EVRYTHNG Platform. In fact, we have been supporting the Physical Web even before it existed as the EVRYTHNG managed products (or THNGs) get a unique identity in the form of a secure URL which is one way to implement the Physical Web. As a consequence, connecting a Physical Web beacon to EVRYTHNG THNGS and Products is a seamless process that we described in a step-by-step walkthrough. As you’ll see, the EVRYTHNG Platform does not only enable basic support for the Physical Web and beacons, but it also supports complex rules that dynamically decide what experience to serve depending on a lot of context parameters (who is the user? where is she? what time is it? what other products did he interact with? in which country? etc.) thanks to our unique REDIRECTOR component. As an example with this component you could implement an interactive treasure hunt for your brand in a store or make sure the offers you broadcast to your users are really relevant to their profiles. 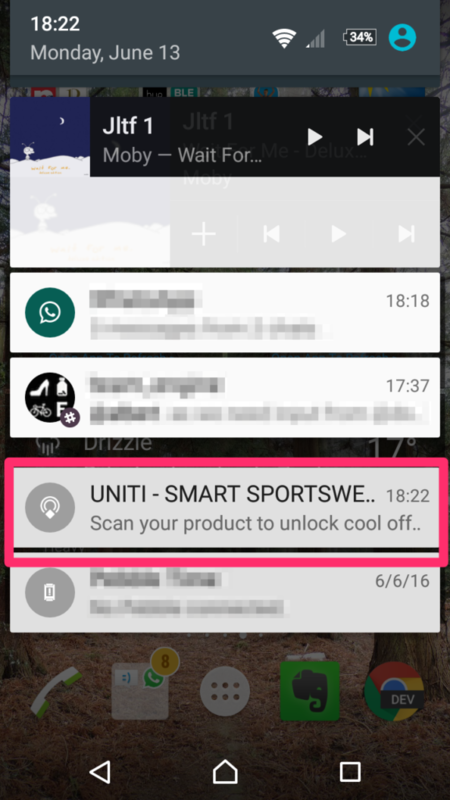 All in all this let’s you create very interactive beacon experiences for your products to make them even smarter.